Free Forex Book "10 Keys to Successful Forex Trading"
You will receive your free copy to your inbox in just a few minutes. 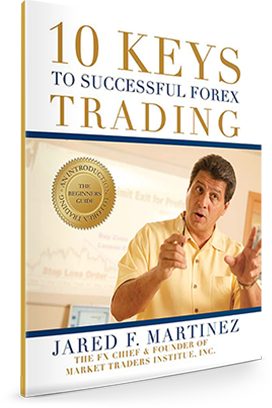 Jared F. Martinez, the FX Chief™ is an author, forex mentor, educator, market analyst and entrepreneur, as well as the founder and CEO of Market Traders Institute, Inc. (MTI). Jared established this multinational organization in 1994 with its headquarters in Orlando, Florida. MTI, Inc. has trained to date over 10,000 traders worldwide. Copyright © 2019 Market Traders Institute, Inc. All Rights Reserved.